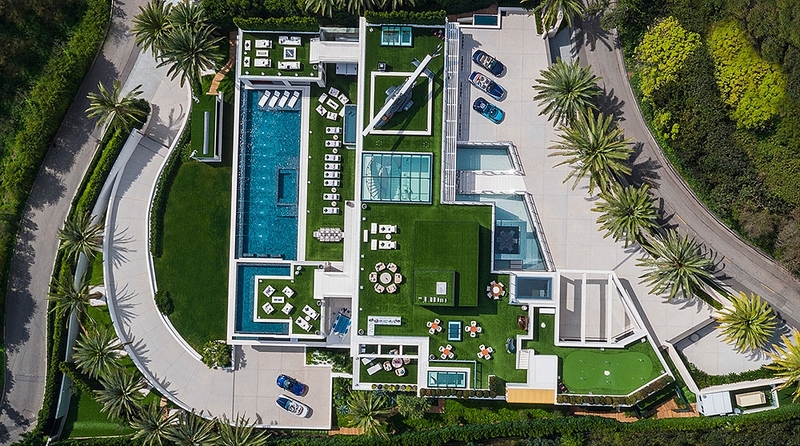 A newly-built Bel Air mansion has been listed for sale for $250 million, making it the most expensive home currently on offer on the American market. The 38,000 square foot property features four floors, 12 bedrooms, 21 bathrooms, five bars and three kitchens and comes complete with its own moat, four-lane bowling alley and an 85-foot Italian glass infinity pool with a swim-up bar and 270-degree hilltop views from downtown to the ocean. Bruce Makowsky, the owner of BAM Luxury Development group, built the home on spec, from the ground up, without a buyer lined up. 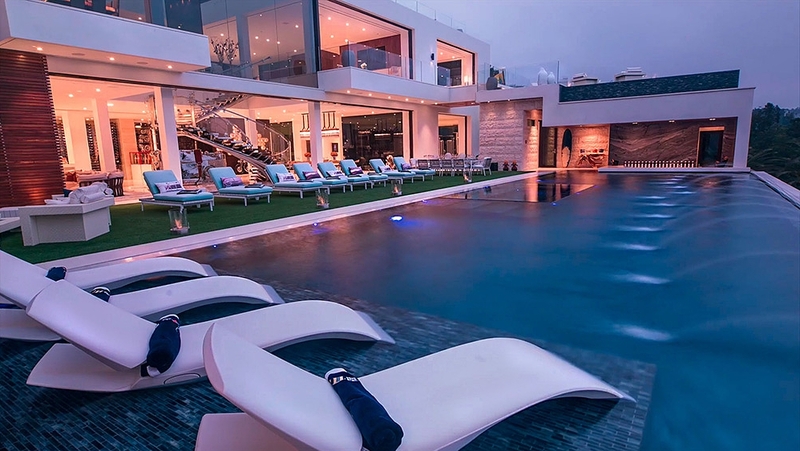 It took over four years to construct and furnish, and it is designed to cater specifically to the needs of a select few billionaires who are looking for a move-in-ready home, stocked with designer wares made by Chanel, Louis Vuitton, Hermes , Fendi and the like. The house comes with a seven-person staff for two years, including a masseuse, world-class chef, and a chauffeur, who live in a separate staff wing. The 85-foot Italian glass infinity pool is fitted with a hydraulic outdoor screen programmed to rise from the hillside and a swim up bar. 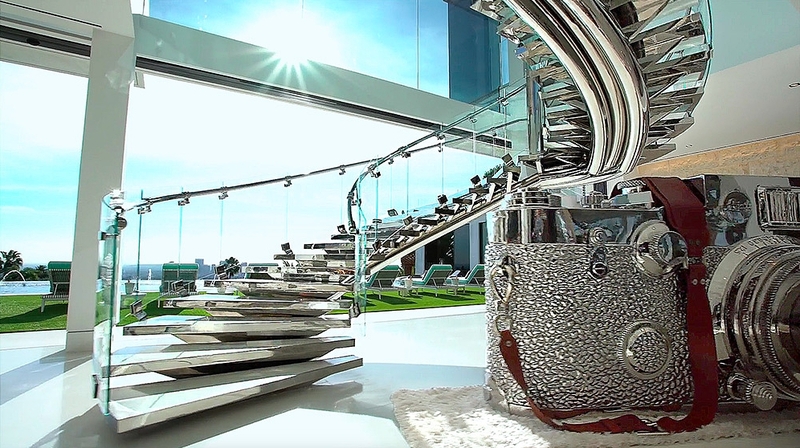 The fully furnished home comes with a $30-million fleet of exotic cars and motorcycles parked in the foyer, including a custom Rolls-Royce, a Bugatti and a vintage Allard. Two wine cellars are stocked with hundreds of bottles of Champagne and wine. There are glass ping-pong and billiards tables that were custom-built, and 130 artworks collected from around the world. And on the penthouse rooftop? 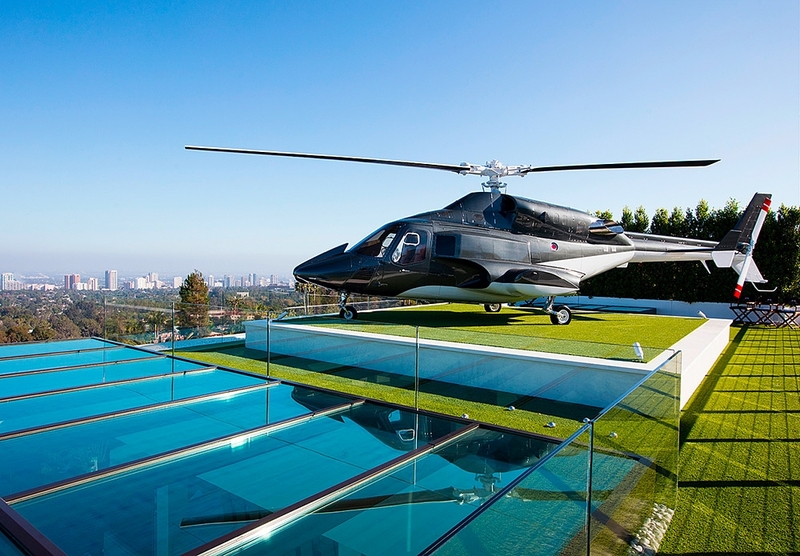 What's arguably the most striking ornament- a helipad with the original Airwolf Bell 222 helicopter. The art collection is comprised of more than 100 carefully curated pieces including an interactive installation by British artist Dominic Harris and an oversized Leica camera by Chinese sculptor Liao Yibai, valued at $1 million. 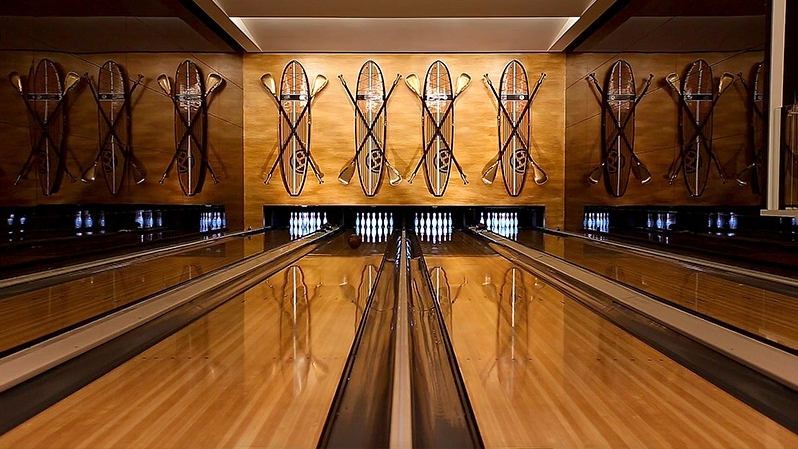 The four-lane bowling alley has shoes in every size, and the candy room is filled with towering cylinders of sweets. The foundation for Markowsky's dream was simple. "I wanted to make sure that when you come into this house, you have the feeling that you're as close to heaven as you can be...so special that you just never want to leave."